The On Board Games Podcast is now part of Inverse Genius, a geek media company. Other than having a brand to act as the home for all of our different podcasts nothing has really changed. Donald and Erik still run both the On Board Games and On RPGs podcasts, Isaac Shalev continues to run the Crowdfunding Edition. Donald runs the Games in Schools and Libraries podcast with the blessing of Giles Pritchard. On Board Games is partnering up with Indie Cardboard! By working with the fine folks over at Indie Cardboard we hope to provide our listeners and their readers with more gaming goodness. 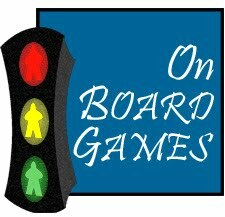 On Board Games hosts will provide content in the form of reviews and opinion pieces for the Indie Cardboard site while the folks over at Indie Cardboard join us to record and provide us with gaming news. If you would like to support On Board Games please check out our OBG Patreon Page. We now have a new G+ group for all of the 2RG related media, including On Board Games, On RPGs, and the Games in Schools and Libraries podcast. OBG 150: iOS You OS?